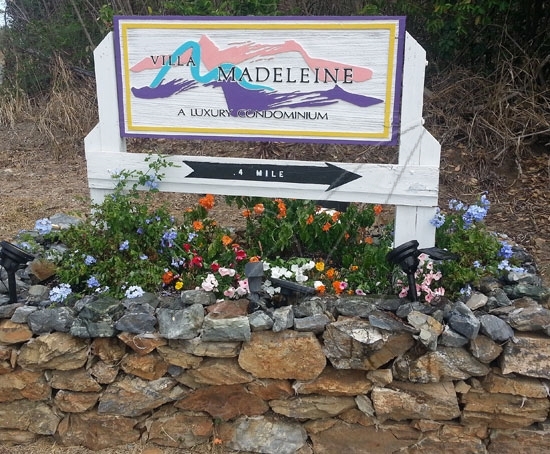 Villa Madeleine - Book Your Villa Direct! 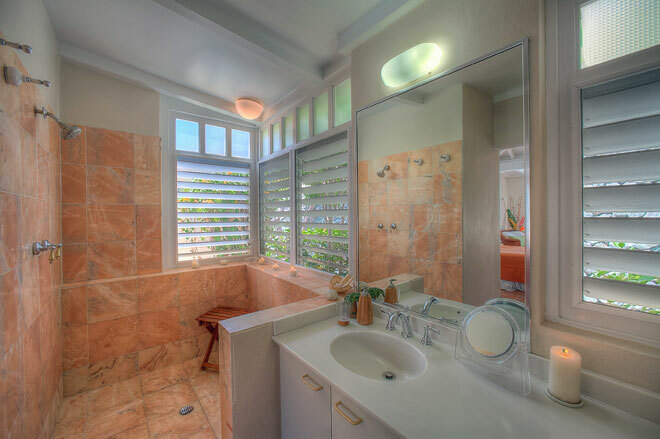 This 2 bedroom/2 bath villa with it's cool look provides a great choice for comfort and privacy. 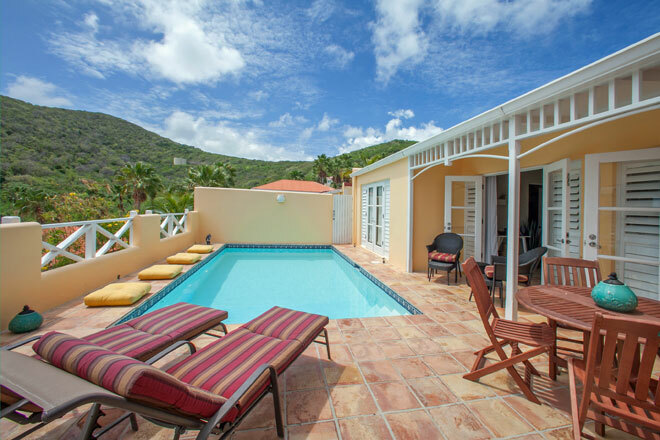 Enjoy your privacy while lounging in the pool watching the palm trees swaying in the breeze or relaxing on the lounges. 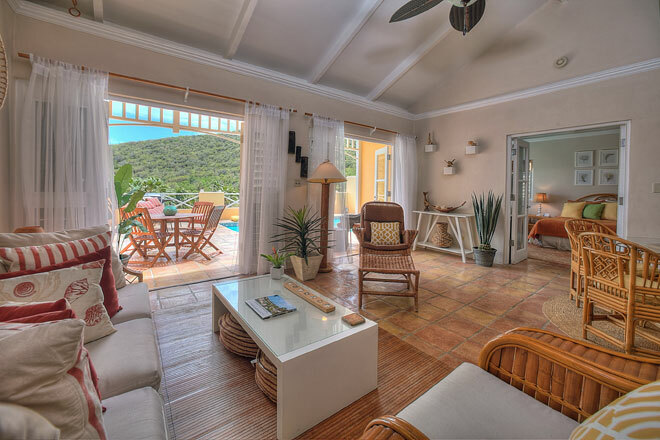 Hidden Haven Villa is a patio home style with your own private patio and private pool located off of the living room area. 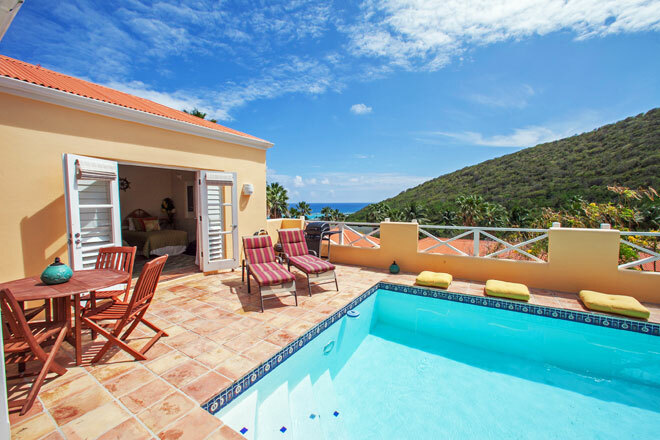 Hidden Haven villa location on the grounds with its southshore tier position gives you beautiful views along with your pool deck privacy. The living area features comfortable seating for relaxing,dining indoors or gazing to the outside view from the double set of French doors. 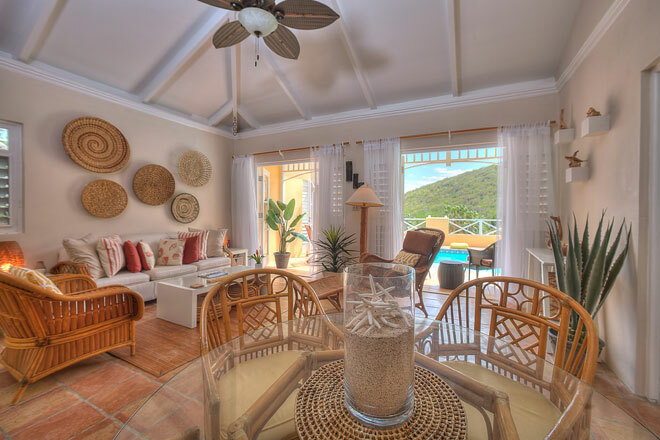 A dining area with seating for 4, entrance to the galley kitchen as well as privacy french doors leading into the master bedroom suite are also accessed from this great room. 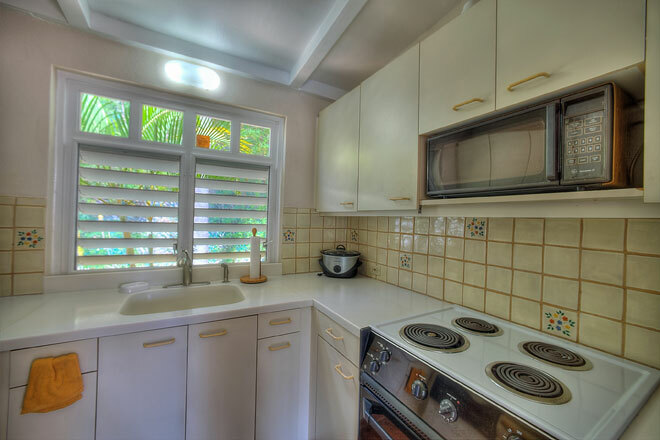 Easy style galley fully equipped kitchen. The master bedroom suite off the great room is large with its own set of French door leading to the pool area and features a Queen size bed, air conditioning, ceiling fan, flat screen TV plus a cozy spot for casual reading and a desk if you have to do work or to place your computer on. 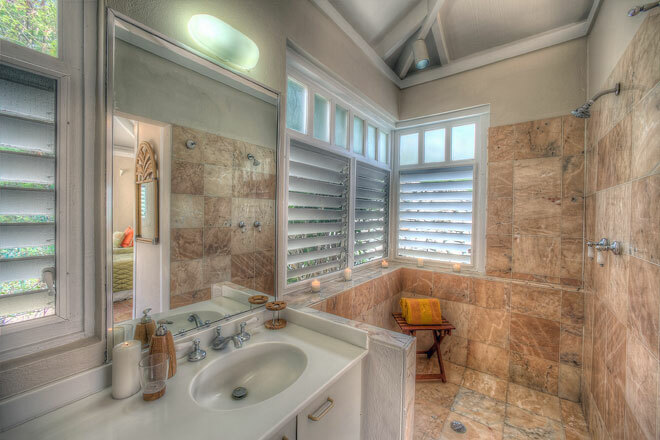 Both bedrooms feature private baths en suite with large walk in marble showers. 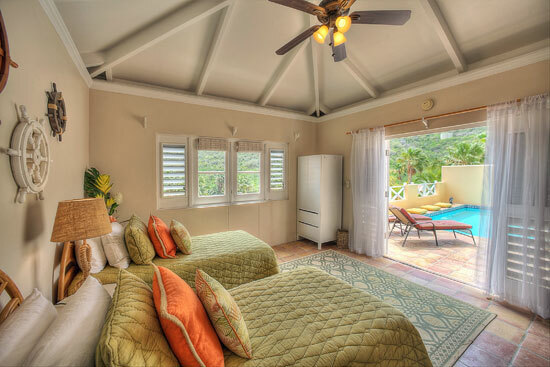 The second bedroom features two twin size beds that can be converted into a king size for couples traveling together, air conditioning, ceiling fan, TV and also has its own bathroom with large walk in shower. 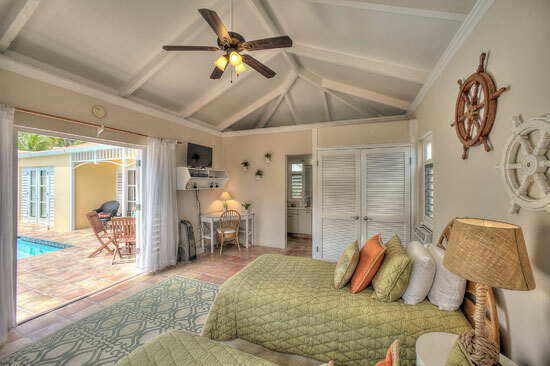 "Hidden Haven" is fully equipped including washer/dryer, flat screen cable TV's in both bedrooms, wireless internet (wi-fi), a gas BBQ grill to enjoy casual dining alfresco, and more! 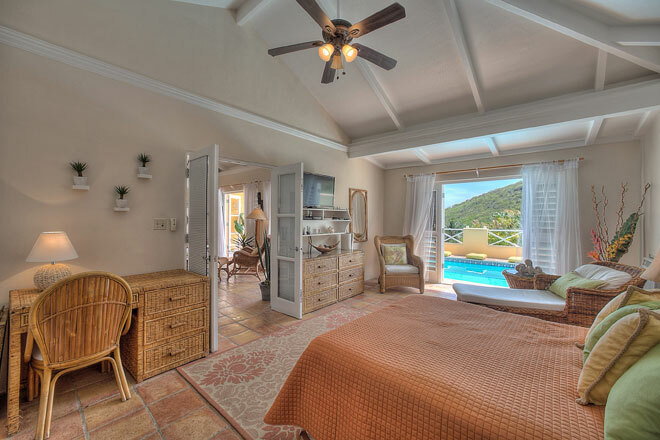 Each villa is fully equipped with a kitchen, master bedroom/bath, living/dining area and in the 2 bedroom units there is also a bath en suite for each bedroom. 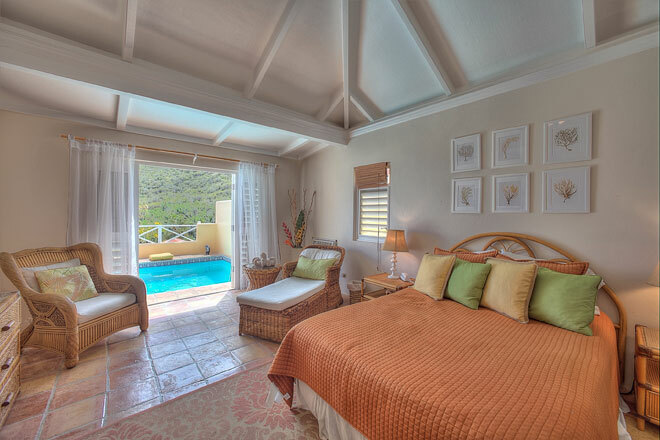 Separate bedrooms in the 2 bedroom units allow excellent privacy for 2 couples, or family with older children. 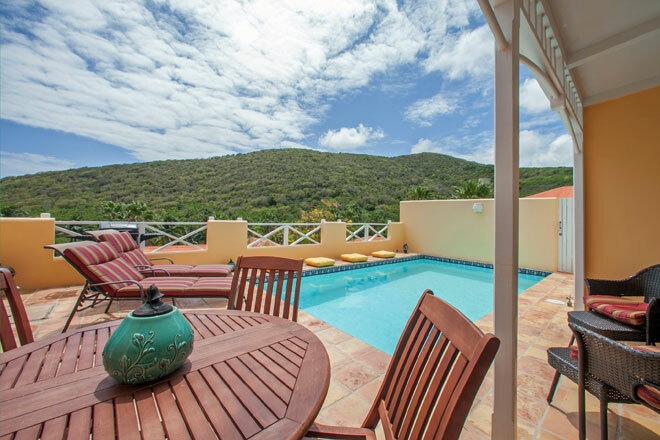 Complete pool privacy in a walled garden sun terrace and excellent location to all island activities makes Villa Madeleine a desirable choice. 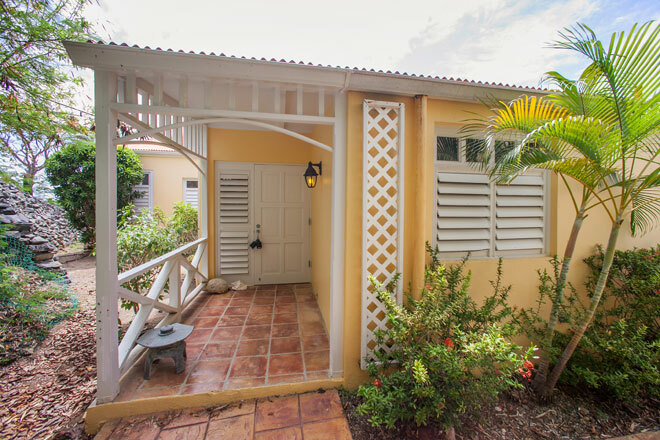 Lovely sea views with palm trees swaying in the breeze and there's even a tennis court on grounds and a natural path to walk to the beach at the Divi Resort! Owner requests NO children under 17 years old years old. All rates + cleaning fee to be added on plus $500 security deposit. To reserve, fill in the online reservation form (NO credit card is needed to do so). You will receive paperwork in return showing everything in writing with a request to proceed for payment with the link to do so. Payments by credit card are accepted through the secure system at Paypal.